I hope you all ate ice cream today. I had two different kinds of ice cream. I ate both the Royal Vanilla and the Hemp Date Nut from Omega Creamery. They were both unbelievably delicious and, even with central air conditioning, nice on a hot summer’s day. It is that time of year again. So here is Superna looking might fine. As most of my friends know, I am not a marijuana smoker, but I am a very big fan of freedom of choice. Here is a shot of Superna from a Blue Blood 420 shoot. Rest of the series at Blue Blood and Barely Evil! 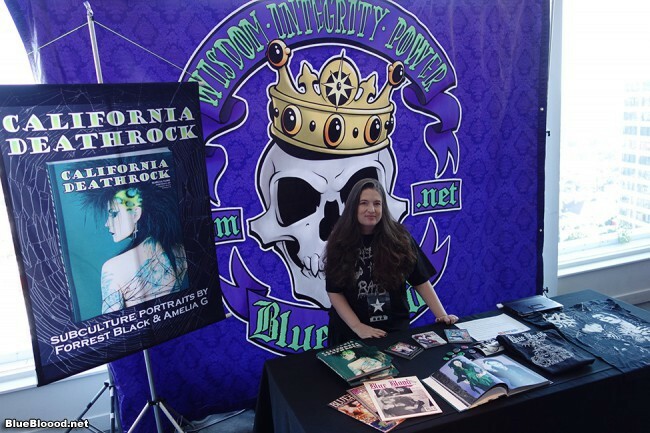 Ms. Poisoness posted to Blue Blood VIP in a set by your truly and Forrest Black called 420 California Girl. Since Forrest Black’s and my California Deathrock book came out, we’ve been talking about print projects a lot. Print is my first love. Dana Dark posted to Blue Blood VIP in a set by your truly and Forrest Black called Silver Sequins. Kasey Kasket posted to Blue Blood VIP in a set by yours truly and Forrest Black called Marilyn Manson Vest with couture by Kasey Kasket. Eidyia posted to Blue Blood VIP in a set by yours truly and Forrest Black called Bone Dress. Mistress Monster posted to Blue Blood VIP in a set by yours truly and Forrest Black called Monster Bottle Schoolgirl. Yolanda posted to Blue Blood VIP in a set by yours truly and Forrest Black called Glass Shower. Annika Amour posted to Blue Blood VIP in a set by your truly and Forrest Black called Stairway. Larkin Love posted to Blue Blood VIP in a set by yours truly and Forrest Black called Tinseltown Silver Dress.